I must be really crazy ain't I? 😅Not quite sure what has gotten into me. I guess after two failed attempts to pass this exam I'm taking, I just got frustrated with myself. I know I have it in me but why are things seems not to be working out. That is one of the famous quotes I know and love about Paulo Coelho. To be totally honest, I only started to read the book recently when I saw a copy of it's 25th anniversary published book 2014 edition. I was inspired by the Foreword that was written in this edition. Paulo told the story how The Alchemist did not initially sell when it was first published. His original publisher cut him lose, probably to cut losses as well, yet he never lost faith in his book. He went to find another publisher who was willing to reprint his book, and lo and behold, it sold thousands of books in Brazil. A few months later, an american publisher picked up the book and decides to translate it, and the rest is history. All of this happened when he was 41 years old. I am sharing this story because just a few days before I found this book, I was running through the list of "crazy dreams" I have. These ranges from small things like being able to buy material things to big really crazy dream of travelling the rest of the world. I was asking God, being in my mid-30s would I still be able to achieve any of this? Then I read the Foreword of the book, I should never lose hope and be discouraged. I will continue to believe and work to make those dreams become reality. 10 years ago I decided to take the leap and found myself going out my home and start a new. At that point in my life I have only been to two countries including this little red dot that I have now been calling home. I am glad I did as it has opened a lot of opportunities for me especially in getting the chance to travel other countries that I could only dream of back then. I didn't know that I have a love for travelling. Reality is, if you ask me now where did all my earnings went to, then a big chunk of it went to satisfying this "love". What I do have now has become a comfort zone. Having this comfort zone though, I did have passed up on at least two life changing (if I can call that) opportunities, which one could have been a chance to move to another country. Time and Tide Waits for No Man. Life is only perfect I guess how I choose it to be, and today I still do have my ups and downs. I have been saying this, 2017 so far is the most challenging year with a lot of personal struggles but with that I have renewed my faith. Things have been improving for me on a personal level - taking one day at a time. I know the quote means that maybe I would never get the same opportunity again. I do live in hope that I could still get the same opportunity or even better. We are all but travellers in this life. My friend, if you have the chance to read a part of me, thank you for dropping by. May you find joy and enlightenment in your life. Follow the tide as it has been waiting for you. Anyway, some serious discerning and lifestyle change that needs to happen. Coz I do have major plans coming up in the first half of the year... I think I better smarten up and tighten my lose belt a little bit. Hope to look back at this entry and tell myself that I did made a good start to the year and managed to keep this momentum till I get things in order. 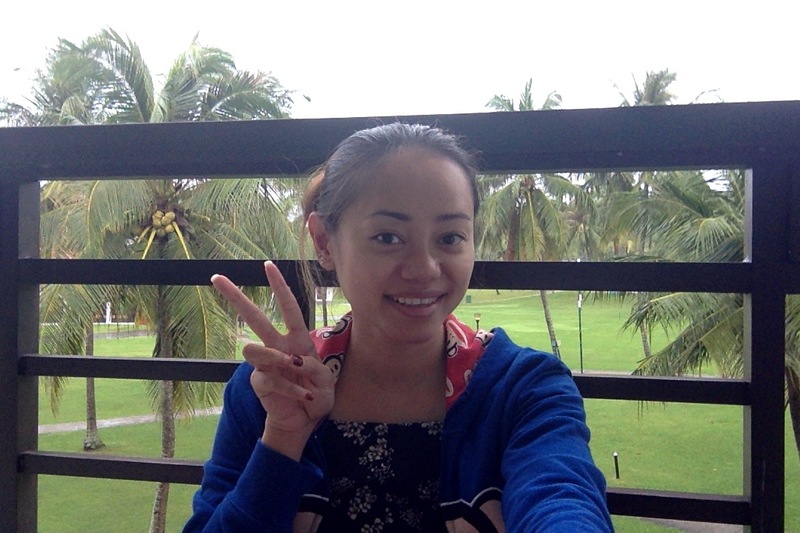 Welcoming the new year in the beautiful island of Bintan, Indonesia! 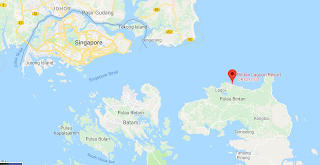 Situated south-east of Singapore, it is an easy and relatively cheap destination getaway from busy little red dot. 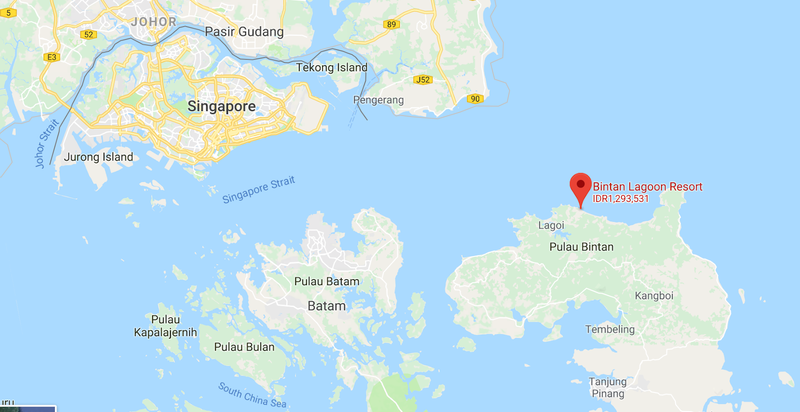 Decided to stay in Bintan Lagoon Resort because it already has its own ferry terminal from Tanah Merah Ferry Terminal but then since the weather was grumpier than usual, our ferry had to alight us in Bandar Bentan Telani which is about a 15-20 min distance away from Bintan Lagoon Resort. Still quite convenient because they have provided bus transfers from that terminal.